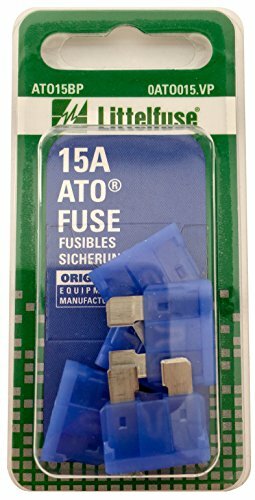 Littelfuse ATO 257 Series Fast-Acting Automotive Blade Fuse is designed to protect the power distribution system of the vehicle. It is constructed from durable material that is corrosion and abrasion resistant. This fuse protects electrical, electronic circuitry from overheating when exposed to short circuits and other overcurrent conditions. It is small in size utilizing less space and is an excellent source of protection since it has the ability to with stand high temperatures in adverse environments. This fuse features industry standard color coding to indicate ampere rating. It can be easily installed.